There are many fun things to view with a stereo microscope that can open the world of science to kids young and old! Below are a few options to get you started. 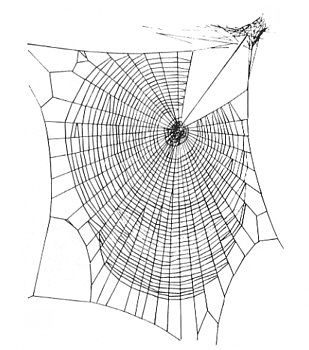 Have you ever located a spider web with amazing patterns and wished you could view it up closer? Here is how you can do so. Hold the slide in front of the spider web (look out for spiders!) and push the slide into the web. Remove any extra spider web that hangs off the side of the web. You can place a cover slip over the slide if you want to preserve the slide. Place your slide under the stereo microscope at 20x magnification (or your lowest magnification). What kinds of patterns do you notice? As you adjust the magnification higher do you see anything different? This kids science project is similar to the one listed above in that you will want to paint clear nail polish on a clear glass slide. This time, after about a minute, press your index finger into the slide and then lift it straight up. You should be left with your finger print impression on the slide. Place the slide under the microscope and use the top light only to view the finger print. Now, turn off the top light and use only the bottom light. What kinds of patterns do you notice? If your microscope has a camera, capture some images to share with others.